Turkish and Russian military officials are discussing a possible operation in northwestern Syria's Idlib province, Russian Foreign Minister Sergei Lavrov said Wednesday. 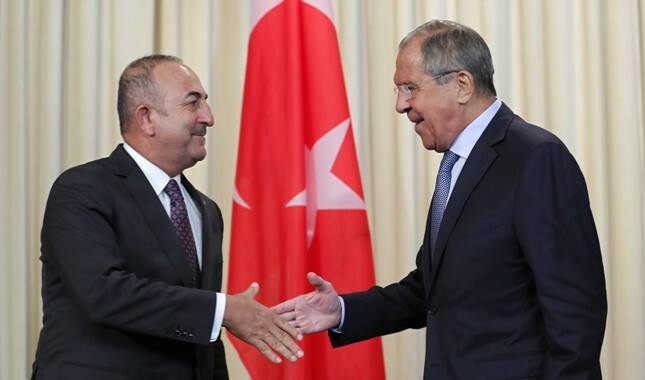 "A few days ago in Moscow, as you know, there were talks between the foreign and defense ministers [of Turkey and Russia] with the participation of the representatives of secret services, during which Idlib was given primary attention for understandable reasons," Lavrov said. According to Lavrov, military officials of the two countries, who know the situation on the ground, are discussing how to "turn political consensus into practical steps." Russia's top diplomat insisted that Syrian opposition forces must be separated from "terrorists" and an "anti-terror operation" in the province was needed. He also expressed hope that Western countries would not try to prevent an anti-terror operation in the area. Speaking to reporters in Moscow after meeting with Lavrov last week, Foreign Minister Mevlüt Çavuşoğlu warned that a possible military solution in Idlib would be a "disaster." The Assad regime has repeatedly violated the cease-fire agreement with heavy air raids.